Denagard by Novartis is a potent and palatable water soluble concentrate for the treatment of swine pneumonia and swine dysentery. Fast acting with a wide margin of safety. 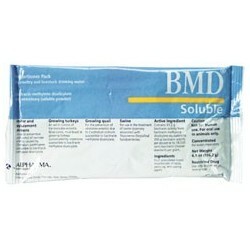 Approved for use in medicated proportioners. 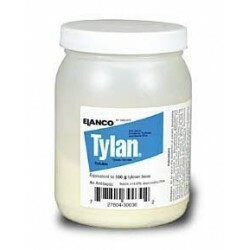 Contains12.5% tiamulin hydrogen fumarate. Tiamulin is active against Brachyspira (formerly Serpulina or Treponema) hyodysenteriae and Actinobacillus pleuropneumoniae. 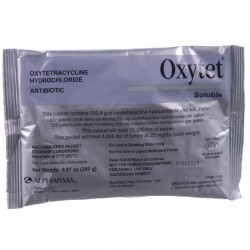 It is readily absorbed from the gut and can be found in the blood within 30 minutes after dosing. 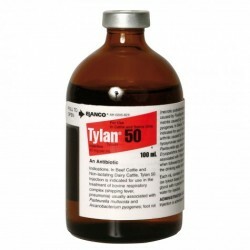 Denagard (tiamulin), when administered in the drinking water for five consecutive days, is an effective antibiotic for the treatment of swine dysentery associated with Brachyspira (formerly Serpulina or Treponema) hyodysenteriae susceptible to tiamulin at a dose level of 3.5 mg tiamulin hydrogen fumarate per pound of body weight daily and for treatment of swine pneumonia due to Actinobacillus pleuropneumoniae susceptible to tiamulin when given at 10.5 mg tiamulin hydrogen fumarate per pound of body weight daily. 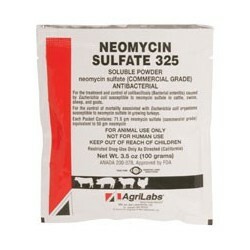 Swine being treated with Denagard (tiamulin) should not have access to feeds containing polyether ionophores (e.g., monensin, lasalocid, narasin, salinomycin and semduramicin) as adverse reactions may occur. Treatment: Pneumonia - 3 qt/512 gal. water; Dysentery - 1 qt/512 gal. water. Use as sole source of drinking water for 5 days. Prepare fresh solutions daily. Withdraw medicated water 3 days before slaughter after treatment at 3.5 mg per pound and 7 days before slaughter following treatment at 10.5 mg per pound body weight. For use in drinking water of swine only. Prepare fresh medicated water daily. The effects of tiamulin on swine reproductive performance, pregnancy and lactation have not been determined. For animal use only - not for use in humans. Directions: Do not use undiluted. The concentration of tiamulin in the drinking water must be adjusted to compensate for variation in water consumption due to weight or size of the pig, environmental temperature and other factors. It is important that pigs receive the proper drug dose, 3.5 mg tiamulin hydrogen fumarate per pound for swine dysentery or 10.5 mg tiamulin hydrogen fumarate per pound for swine pneumonia, each day for 5 consecutive days. Approximate daily water consumption per pig. 1. Prepare fresh medicated drinking water every day for the 5 day treatment period. 2. Water medicated with Denagard should be the only source of drinking water during the treatment period. Determine the amount of Denagard Liquid Concentrate needed to medicate the desired volume of drinking water at the proper concentration. Carefully measure out this amount, add it to the water and stir to thoroughly mix. Being in the show pig business and traveling to so many shows, our hogs are always have the chance of "catching something". 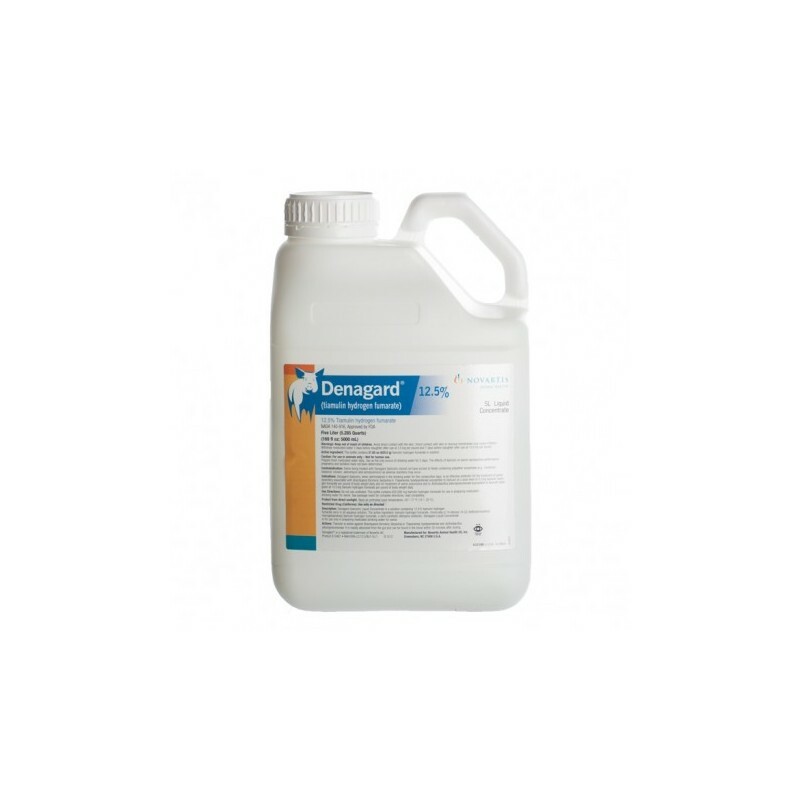 We've had great response when we've had to treat our pigs, using Denagard, Highly Recommend for everyone to keep on hand.